SPONSORED — So you drive a hybrid car and separate your recycling from the trash, but if your home is still functioning like it’s 1980, you may not be as green as you previously thought. With homes and commercial buildings consuming 40 percent of the energy used in the United States each year according to Energy.gov, going green is certainly a household job. If you’re looking to help save the earth — and maybe even a little cash — it’s time to take the job in-house. You could be wasting more energy — and more money — than you know, but determining how much you could stand to save can be tricky. One surefire way to assess your home’s energy efficiency is to schedule a home energy audit. A professional energy auditor can come to your home to pinpoint the areas or systems from which your home is losing energy — and money. This could include poor insulation, ineffective air sealing and out-of-date, energy-sucking appliances. An energy auditor can also advise you on how you can save more energy through lifestyle changes as well as home upgrades. Keeping your home’s climate comfortable will cost you. In fact, your heating and cooling system is your home’s largest energy expenditure. But if you’re losing cooled or heated air through drafts, cracks and poor insulation, you’re just throwing money away — and wasting energy. 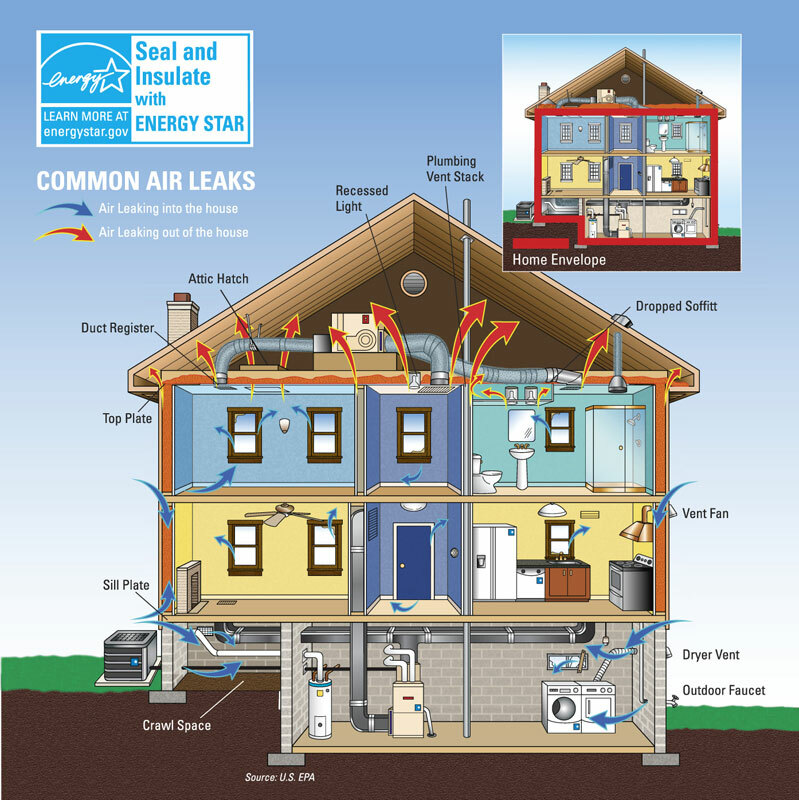 According to Energystar.gov, some of the most common areas for air to escape – and come into – your home are the kitchen vent fan, recessed lighting, dryer vents, outdoor faucets, crawl spaces, duct registers, attic hatches, plumbing vent stacks and still plates. No one likes a cold shower, but that water heater of yours is the second-biggest energy user in your home (after your heating/cooling system) — particularly if you’re still running that vintage electric model. Heat pump water heaters are rated as 200 percent efficient, meaning they deliver 200 percent of the energy they consume. And the best part of making your water-heating a little greener: You can save more than $300 year. Everyone wants you to be a little more energy efficient, including the state of Washington. According to Seattle.gov, you may be eligible for rebates of $50 up to $1,200 for replacing your appliances with more energy-efficient models. For example, if you’re finally ready to upgrade that electric water heater to a heat pump water heater, you may be eligible for a $500 rebate, with more incentives available through federal and utility programs. With a lower energy bill to boot, the new water heater pays for itself in as little as 2-3 years, according to Fast Water Heater.